During my school visits, I’ve seen many type of difficulties being faced by the school kids. Some of the schools are in a condition where they do not even have proper materials resorting them to study in a deplorable condition. Some of the more shocking cases are kids studying inhaling toxic wastes from nearby factories and eating in canteens infested with poisonous snakes. These are the cases that I’ve personally seen. To this date, the kids are still studying in the same condition. All these cases are a norm in Tamil schools and Orang Asli schools. Neglected and denied proper facilities, the kids are studying in a condition I’ve only seen in countries like India and Cambodia. Everyone in Malaysia now seems to be overzealous about these 2 names: Alvin & Vivian. They have become an instant household name by any Malaysian Face bookers you met. Even the makcik’s at my apartment keeps on talking about these 2 couples. Yes, undeniable they have messed up the Malay brothers and sisters religious emotion switch during this auspicious month of Ramadan. 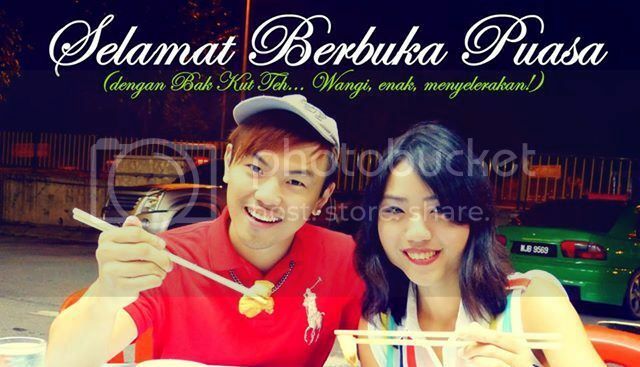 I truly do not agree as any other multiracial Malaysians on what the Alvivi couples (Alvin & Vivian) have done while they decided to post their Selamat Berbuka Puasa photo with Bak Kut Teh and as well the Halal logo. I am sure I will be equally outraged and annoyed if my religion was insulted in a way, if there are any fellow Malaysians posted on eating cow meat for Deepavali or any other Indian festivals wish.